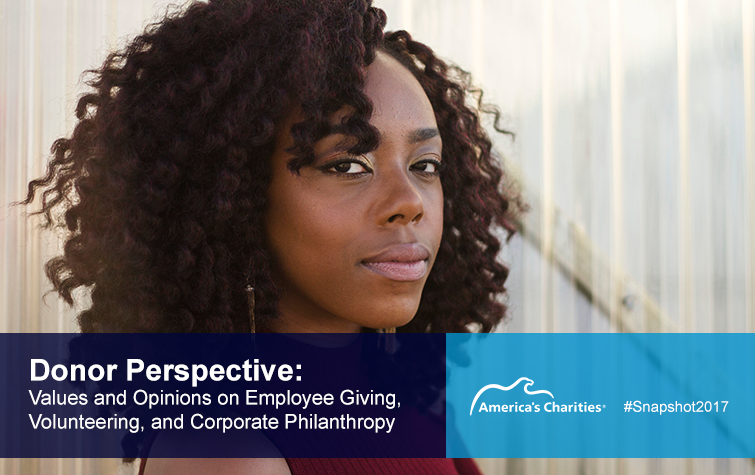 This fall, America’s Charities will give you answers to these questions and more when we release Snapshot 2017, the latest in our research series on employee giving and engagement trends. In previous years, we’ve explored these trends from the perspective of employers (see Snapshot 2015 and Snapshot 2013) and from the perspective of nonprofits (see Snapshot 2014). Snapshot 2017 will offer a first-ever look at employee giving trends from the perspective of donors. You don’t have to wait until fall to gain access to valuable insights from this new study though. America’s Charities invites you to join us at the +IMPACT Conference, hosted by our partner Causecast on May 15-16 in Washington, D.C, where America’s Charities President and CEO Jim Starr will present a first look at findings from Snapshot 2017. Reserve Your Spot at +IMPACT Now! Taking place at the Edgewood Arts Center – Monroe Street Market in D.C. (3415 8th Street Northeast, Washington, DC 20017), you can learn more about +IMPACT and reserve your spot for this one-of-a-kind conference by clicking here. After you join America’s Charities at the +IMPACT Conference in May, join our webinar on June 15, 2017 where we will take a deeper dive into early findings from Snapshot 2017 and hear from the researchers behind this groundbreaking new research. REGISTER NOW.